Well, if you prefer sticking to do-it-yourself bikes and all those electric bikes showing up in the market yet haven’t managed to catch your fancy, here’s a home-made way to travelling around green. 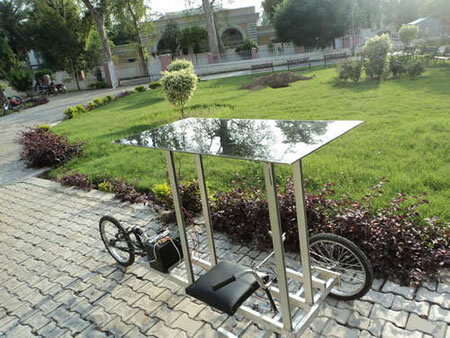 Built by Farrukh Khan, this solar powered reverse trike cost just about 46,670 Pakistani Rupees to build, which sums up to about $550! 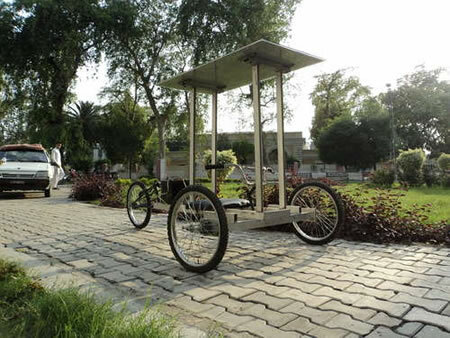 Complete with solar panels, an onboard battery, a motor, a chain and sprocket mechanism and measuring 3.5ft in width, 7ft in length and standing tall at a height of 4.5ft, this trike’s reminiscent of the Asian rickshaw, and seats just one. 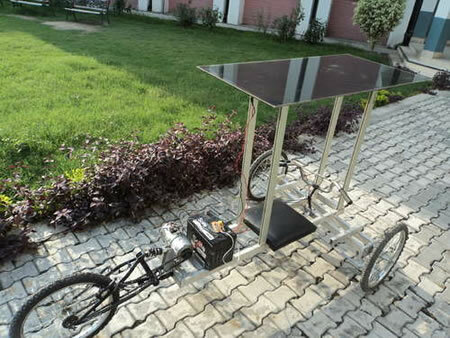 With the solar panel generating enough juice to make this one neighborhood-travel-friendly, this solar powered trike beats using gas-guzzlers, and is pocket-friendly too!